THREE SICILIANS Without any ado, grandmaster Alexander Morozevich reacts vigorously to the sudden and dramatic appearance of the newly-invented “Giri variation”, with its highly provocative early pawn thrust …h7-h5. Supported by hard analysis, Moro offers a wealth of original ideas to help you get to grips with this “worst possible line in the Taimanov Sicilian”. Furthermore he drops a strong hint that Anish Giri too has every reason to take note of his findings! Then, in his regular “Mirroring” column, Emanuel Berg gives a balanced view on the respective attacking prospects of both White and Black, when there is opposite sides castling in the Dragon Variation of the Sicilian Defence. Nevertheless, after studying the illustrative game won by Hikaru Nakamura on his way to victory in the US Championship, we strongly suspect you will come away with the slogan “Black is OK!” ringing in your ears and the inescapable feeling that “A Dragon is a man’s best friend!” But for readers who prefer more controlled play of the strategic variety, Vasilios Kotronias presents the sixth installment of his comprehensive “book within a book” on the Alapin variation: 2.c3. NEW ROMANTICISM Leading Indian GM Pentala Harikrishna starts a new column on “The New Romantics,” supplying ample evidence that it is not only soccer that can lay claim to being the beautiful game. As you will see from Pentala’s selection of recent brilliancies, the legacy of the 19th century immortals Adolf Anderssen and Paul Morphy is still very much alive and kicking today – despite the existence of powerful computer engines and improved defensive technique! The Grand Prix Final, recently concluded in Khanty-Mansiysk, has provided the chess world with some very strong indicators as to who will be Magnus Carlsen’s next challenger. Three of our grandmaster contributors look at key games from this important tournament – from three different perspectives. Sarunas Sulskis selects games illustrating the execution of strategic themes, while Rafael Leitao identifies significant innovations in the openings. And to complete the instructive element, a new member of our team, Michael Roiz, offers a feast of top-level tactical niceties. No, we have not forgotten ladies’ chess. GM Keteven Arakhamia-Grant invites you to share the thrills and spills of the long and winding road that leads to the Women’s World Championship – and the remarkable self-belief in her destiny of the new title holder Mariya Muzychuk. Then again, GM Dragan Solak narrates a very personal account of how he won the super-strong and richly sponsored Dubai Open, incorporating his innermost thoughts into a profound analysis of his best games. The Grand-Prix, won overall by Fabiano Caruana and Hikaru Nakamura, has influenced other of our contributors too. Seeing three games played in Khanty-Mansiysk with the ancient Italian Game has inspired Mihail Marin not only to share his own experiences with this opening over the past 25 years but even to go all the way back to Greco in 1620(!) to explain the ideas behind the so-called Giuoco Pianissimo – or should that really be Fortissimo? This year GM Hikaru Nakamura has already won four major tournaments: Gibraltar, Zurich, St.Louis and Khanty-Mansiysk – as well as qualifying for the next World Championship Candidates tournament . 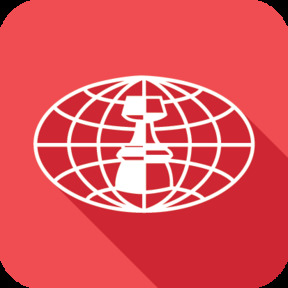 Chilean mathematician, author and chess grandmaster, Mauricio Flores Rios, explores the reasons for the American’s new-found successes and analyses deeply six of his games against elite players from these recent events. Of course we must not neglect Magnus Carlsen, still perched on top of the chess world – where he unquestionably belongs. He has now won again, in Shamkir, the strongest tournament of the year so far, and GM Ivan Sokolov takes a close look at how he defeated his dangerous rivals. Finally, endgame specialist, GM Karsten Mueller, uses ten up to date examples to impress upon us what we should keep in mind when entering seemingly “drawn” opposite-coloured bishop endgames. 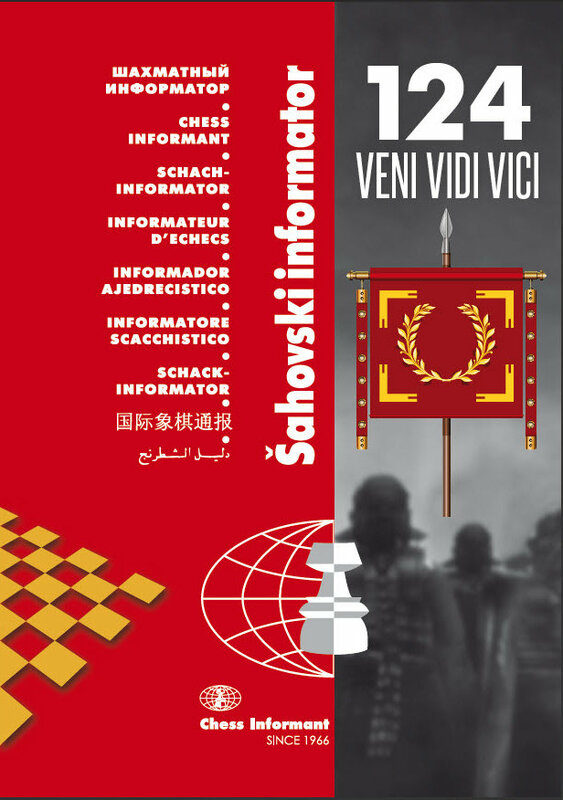 All these articles, which make up the first half of Informator 124, are presented in plain English, whereas the second half maintains our half-century tradition of selecting the most interesting games from recent events with non-verbal annotations by the players themselves or our in-house team of grandmasters and international masters. Shortly before he passed away in June this year, the 6-time US champion Walter Browne submitted a couple of recent games for publication in Informant 124. Two Sicilians – one where he was playing White, the other with Black. Though the opponents were not grandmasters, the games were nevertheless classic Walter Browne - whose style was forged as a teenager in 1960s New York under the direct influence of Bobby Fischer.